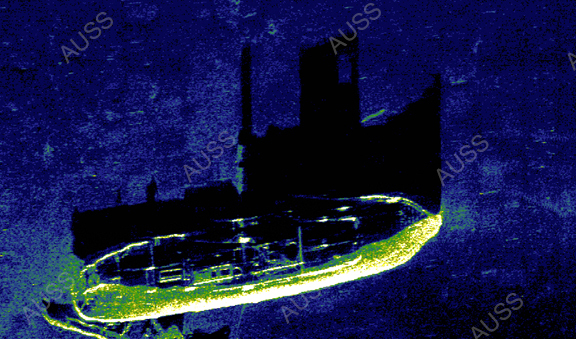 Side scan sonar sonograph of a harbor tugboat showing deck details in the image's shadow. Date of loss unknown. Valparaiso, Chile. (1Mb file).